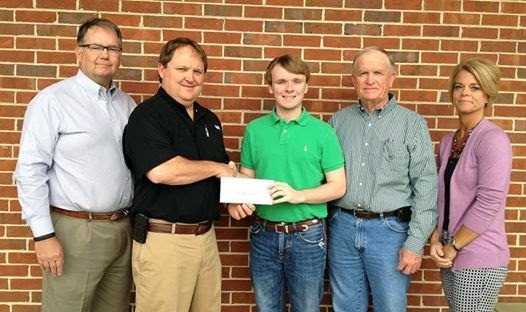 Southwest Georgia Farm Credit presented Westwood School senior Hayes Grogan a $1,000 scholarship to pursue his college education. Mr. Grogan plans to attend Auburn University to pursue his degree in Poultry Science. Gathering for the …check presentation are: Richard Monson, CEO; Brant Harrell, Relationship Manager; Hayes Grogan, Scholarship Recipient; Kent Grogan, Hayes’ father; and Jennifer Good, Guidance Counselor at Westwood School.